If you're looking for solution to transfer music or videos from your iPhone to Mac, you've come to the right place. Like many others, sometimes we love to enjoy the songs or videos downloaded from iPhone on our computer, or we just want to move the precious videos taken by iPhone to the computer for a backup. However, when you try to transfer them from iPhone to Mac computer through iTunes, you might be at risk of losing all you data on your iPhone. That's why you are here looking for solution to solve your problem. I'd like to like tell you an iPhone to Mac file transfer program may help you work it out. iOS Transfer (Mac) is special designed for this purpose. It enables you to transfer iPhone music, videos or many other types of contents to Mac OS X 10.10, 10.9, 10.8, and 10.7 easily and quickly with just a few click of your mouse. It fully supports iPhone models including iPhone 6/6 Plus, 5s/5c/5, iPhone 4s, iPhone 4 running on iOS 8. Free download the trial version of iOS Transfer (Mac) and install it on your Mac for a try. Download the iOS Transfer with Mac version and install it to your Mac. And connect your iPhone with Mac, the program will search your iPhone automatically, so you will see the iOS Transfer main interface including your iPhone information and picture will pop up if it successful. The logo of "iOS Transfer" is in the middle of top margin if you linked successfully. And the left column of the main interface will be shown some options like "Playlist", "Music", "Movies" and more. Click "Music" button, after that, your songs will appear in the right side. Choose the songs you like to transfer by clicking-right on that little blockage. After you choosing the songs, you need to click "To Mac" button which is on the top margin. If it is successful, there will be a small interface pop up to inform you that the items of you transferred. After connecting your iPhone with Mac, then choose the "Movies" button on the left side list which including "Playlist", "Music", "Applications". Click "Movies" button and all of your videos from iPhone will be shown on the right main interface. Now you can select videos you want to transfer. The six rounded button which are on the top margin was displayed on this interface. Click "To Mac" button which is the fifth one to transfer the files. When the process finish, iOS Transfer will inform you automatically. Now you can enjoy you favorite songs and videos on your Mac. To transfer music and videos from iPhone, iPad or iPod touch to iMac, MacBook Pro or MacBook Air, iOS Transfer (Mac), a professional data transfer software, is your best choice. Files transferring between your iPhone and Mac will never become a problem for you. 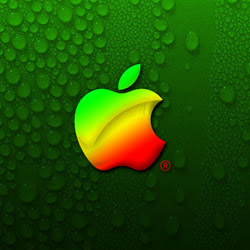 Download iOS Transfer (Mac) for free to have a try. iOS Transfer is also available for Windows PC users.